There are 3 reviews for 'Asdivine Dios'. Well, this game is not too good and not too bad either. It’s decent but some of the weaker points are the magic skills and rewards. You can get TOO MUCH gold from battles and there will be no shortage whatsoever. I wish there were more magic skills in the game as there are many empty slots. The dialogue sometimes can be cheap and the ones with humour in them are not always so funny. Well, new Asdivine game... and it's difficult to live up to Asdivine Heart. Well, I’m not going to write some crazy thorough reviews. Just skip to Pros/cons. Good balance, and nothing crazy. It's nice to see Kemco try out new customization system. I don't like the new customization system -- you either pay lots of real money for good stuff, or you have to spend a lot of mind-dulling time. 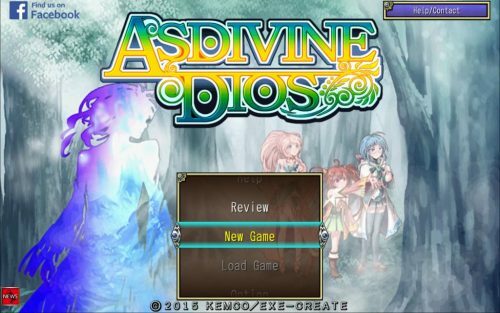 Asdivine Dios Where You Can now play as…Moomies?